Khajiit Mage and Thalmor agent wanted for questioning regarding her disappearance a year ago. Last reported sighting was around Sadrith Mora on the isle of Vvardenfell. She is to be brought in alive. Female Khajiit of Suthay-Rhat breed, black furred, often donning several shamanistic items in her mane, and speaks with a fluent tongue and Altmer accent. The bounty has been claimed. The Thalmor thanks its citizens and her partners for their vigilance. 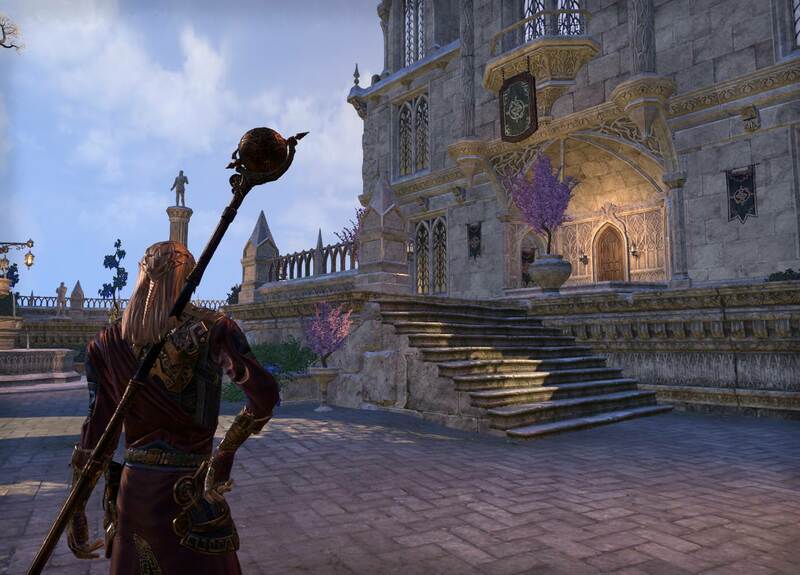 The Mages Guild of Summerset has called for a grand assembly at their chapter in Alinor to discuss a new Daedric threat emerging in their land and potentially the entirety of Tamriel. 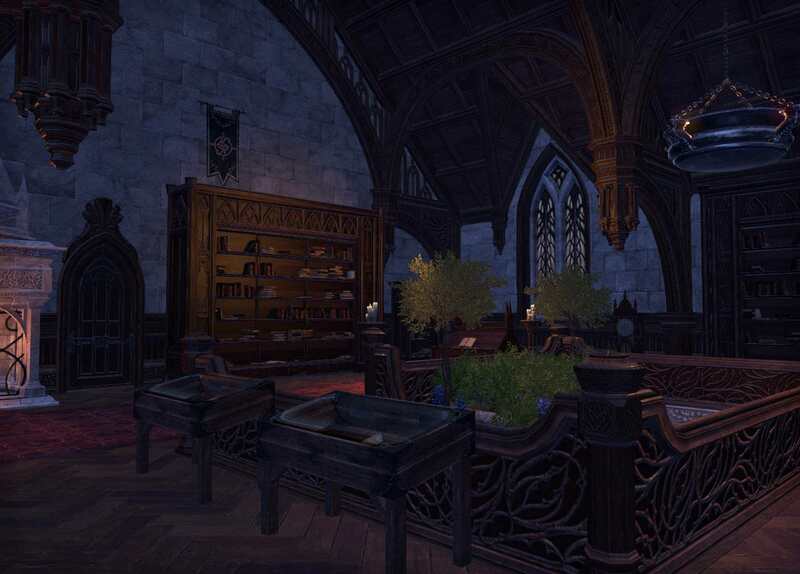 Notices were posted at each major Guild Hall across Tamriel: Wayrest, Elden Root, Mournhold, Anvil, and even in Vivec as well. 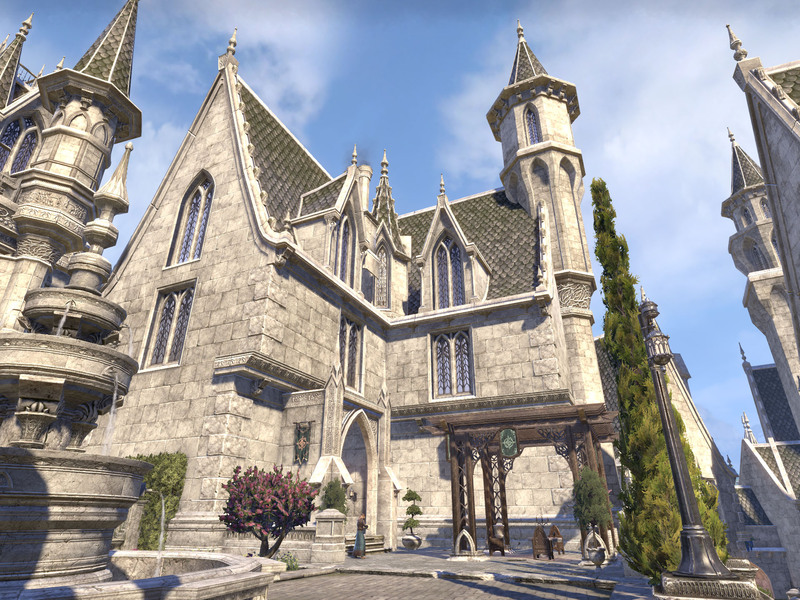 All interested in assisting the Mages Guild in thwarting this new threat are more than welcomed to attend, and are to be fully provided with complimentary teleportation to Alinor so long as they hold no active criminal record within the Aldmeri Dominion, which includes the agents of an enemy state. This gathering will take place on the top level of the hall in the Arcanaeum this following Tirdas at night. A panic has started to grow among the citizens of Shimmerene as reports of peculiar shadowy figures have to increase at an alarming rate. Further, adding to the uproar, the corpses of individuals drained completely of their life force have started to appear around the city here and there. The Mages Guild and the Divine Prosecution suspect a connection among the shadows and the bodies drained of life, and have thus called upon their allies to assist in investigating the threat this coming Turdas, the gathering of which will take place at the Shimmerene Mages Guild that night. Rumor has it colorful posters have appeared throughout Tamriel, namely in the Dominion, pasted up in inconspicuous places and sordid hide-y holes. Labeled in bold, gilded lettering, these posters proudly proclaim a roving shop, filled to the brim with any kind of magickal item a soul may need. "Come one, come all! Attention magicka users of all types, shapes, and sizes! The Ninth Life has what you need, when you need it. From sordid to standard; From bland to bombastic - The Ninth Life has it. Even those less-magickally inclined can find what they seek from our wide selection of goods and services! Interested in perusing our wares? Seek out your friendly, local mage; Tamm'lin Shorecraft. Located in...."
ooc: This character is able to contacted in a variety of ways, for almost any magickal service you might need. Screaming skulls, ancient tomes, magickal mischief, and lessons in a variety of schools; Tamm'lin can procure it for you! Able to be find at your local black market, outlaw refuge, messaged by carrier pigeon, or tracked down via Telvanni acquaintence. The Mages Guild in Shimmerene received a mysterious visit following the recent cultist ambush against the task force formed to investigate the shades. 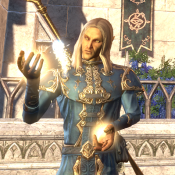 Apprentices say this individual was delivering important information on the cultists that were present, and described as a well dressed Altmer with unusually darker hair for his people, a shoddily designed staff with him thought to be made from Ayleid metalwork with a Welkynd crystal placed on top. This contact has offered to lead a group into the waterworks of the city to deal with these cultists once and for all, and while a number of Guild Mages are questioning his intentions in all this, the Wizard Solinar appears to put his trust in him as he calls for another gathering on Tirdas at the city docks. We are pleased to report that the recent shadowy threat to Shimmerene has come to an end. The vile Daedric cultists that were responsible were decimated below within the city waterworks this Tirdas. 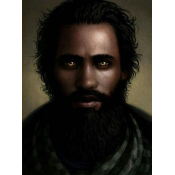 Andarwe of Shimmerene, their apparent leader, still remains at large. Should anyone locate her, please inform the authorities right away, she is highly dangerous and wields powerful and deadly spells. For would like to thank all of those that assisted in ending the threat, we could not have done so without your continued services to Summerset. The City of Lights is safe as a result of your actions. For Queen, Dominion, and Justice! News of an Ouster recently having arrived in Lillandril has started to spread throughout the public in the city fast. They say this mer dressed in Dwarven styled attire is staying at the Lillandril Mages Guild, of whom are refusing to comment on this. Dalion, the Sapiarch of Armamentry, is thus putting together a task force of his colleagues and other allies of the College of Sapiarchs to address this situation. Though how he intends to do that remains unknown still. 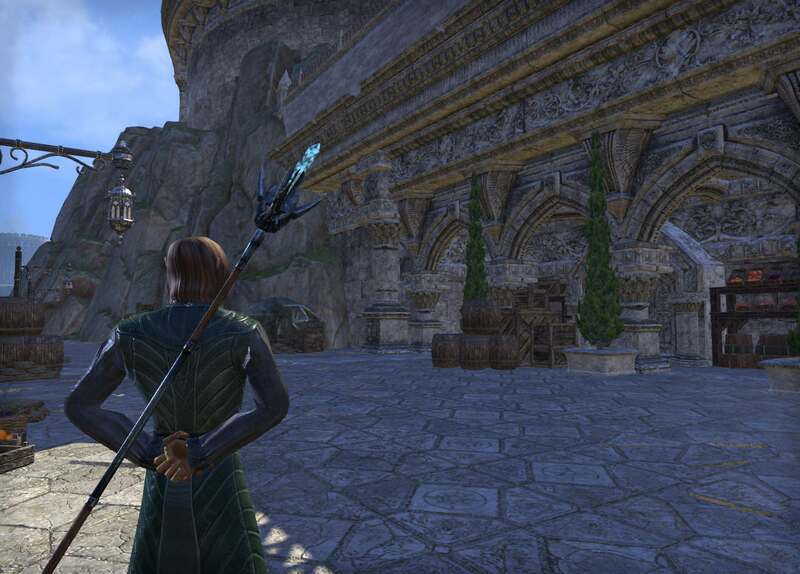 Peculiarly, the notable Guild Wizard Solinar of Firsthold was sighted at the Lillandril hall since Ouster had arrived there, raising even further questions due to his involvement in a campaign against the Daedra. Still, it appears that tensions are ready to erupt in the city again. With rumors coming out of multiple cities across the isles of missing outsiders and seemingly no real effort being put forth by local authorities to investigate other whispers have begun to arise of individuals making inquiries. It is said a trio of Mer and an Argonian have been spotted in Lillandril among other places looking into the missing and possible ties that the Closed Borders Movement may have to it. Not much more is certain at the moment however, though one with a keen eye may find them if they look hard enough. 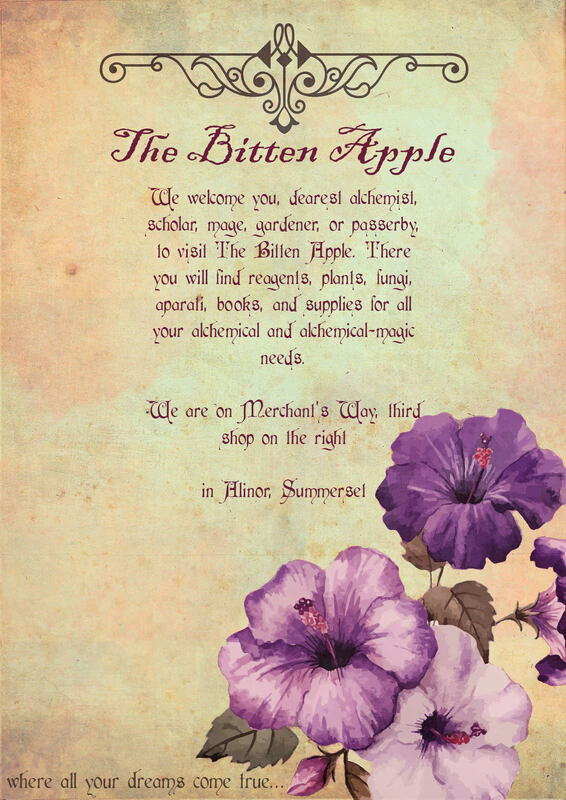 The Bitten Apple is an rp location open for anyone to use! The Summerset game pack is NOT required to travel there. Feel free to teleport to FullHeartContainer 's primary residence to use this fully decorated, public rp location. The Bitten Apple can also craft poisons and less savory concoctions for those who know the right people. For more information, pleases visit here! Thanks to FullHeartContainer for building this place (and to KhaosRiivy for the beautiful paper). If you wish to set up rp with the shop owners/workers, please contact GreyDragon/@Teiglin14 or FullHeartContainer/@FullHeartContainer. 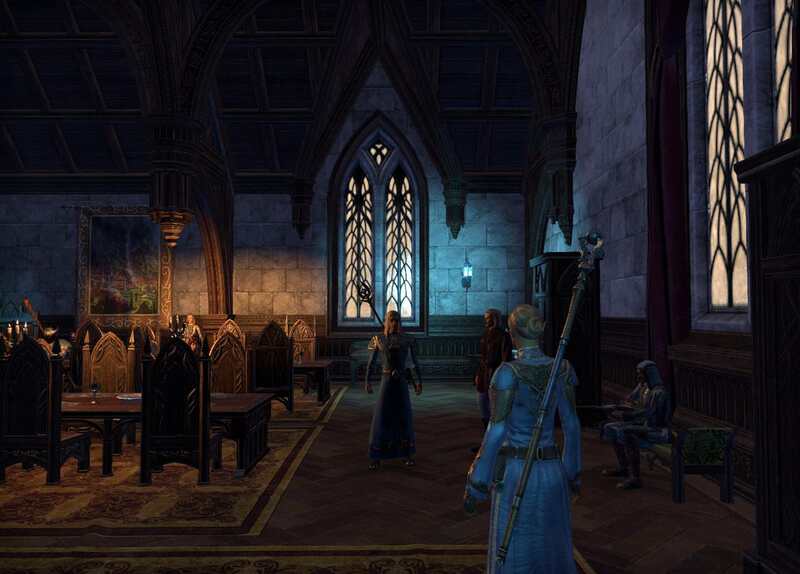 The Mages Guild of Lillandril has received numerous visits from agents of the Sapiarchs since the recent confrontation last Tirdas, Wizard Solinar and other senior members of the Guild present to try to diffuse the situation, allowing them to inspect the hall. The authorities around the docks and the upper parts of the city are watching for the mechanical flying ship the Artificer used to escape. The rumors of this grand duel that Aicantar challenged his father and the Sapiarchs to that night has also reached the public at large, with bets now being taken around town as to who will win. Sapiarch Dalion has spoken to the staff at the Illumination Academy to sanction the duel there, and while authorities in the Divine Prosecution will be present that day, he has told them to not get involved unless any of his terms are broken by any party. Additionally, he has assured that authorities will be manning the walls in the event the Artificer decides to bring his Airship back around, with orders to destroy the thing.